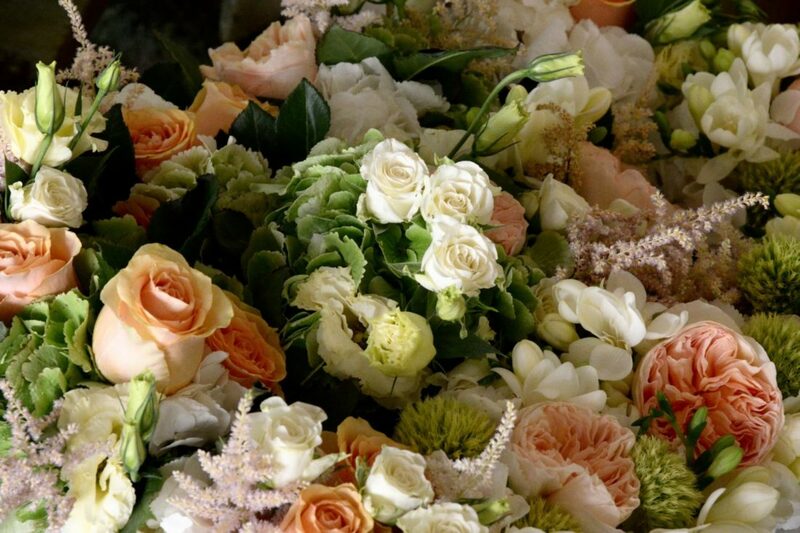 Choosing the flowers for your bridal bouquet when you are planning a wedding in Italy is not an easy task – not only do you have to choose the colors you want to coordinate with your wedding theme – but you also should take into account the seasonality of the wedding flowers you want to use. Did you know that there is a different flower for every month of the year? Bear in mind that the flower of the month is one that will hopefully be in plentiful supply, as it should be at its best during that particular month of the year. In other words, don’t decide you want daisies in December! The flower for the month of May is the peony – a large fragrant flower, especially the double peony, which is greatly favored for bridal bouquets in May weddings. Also for May weddings are the delicate lilies of the valley with their beautiful fragrance. At other seasons of the year you can choose from marigolds and cosmos in October, chrysanthemum in November, narcissus in December, carnations and snowdrops in January, violets and primroses in February, daffodils and jonquils in March, daisies and sweet peas in April, and tulips in spring. The tulips wedding bouquet is gorgeous, but if you need it not in spring, we have to import tulips from Holland, and they are very expensive. July’s choice for your bridal bouquet could be delphiniums, while poppy and gladiolus are popular with August brides. September’s flower is the aster – a very versatile flower that comes in many colors and can be easily combined with other flowers. At BeA Alfresco Wedding we will help you to make the best choice for your Tuscan wedding, thanks to our fantastic floral designers!